Raised on the storm-wracked planet Unruli, Lily is far more provincial than even she realizes. Not only is she familiar with only a single world and its system, but she’s barely conscious of the endless class warfare carried out by the Reft’s ruling Central against various despised ethnic groups. As catastrophe follows catastrophe, she runs smack up against the Reft’s institutionalized injustices; not only that, but she discovers that the system cannot even offer stability. The Ridani labourers are rising up against their oppressors. More trouble is brewing in the background. Earth is newly free from alien conquerors, and reaching out to other human worlds, worlds with no idea Earth can reach them again. The alien conquerors intend to prevent this. Both the alien Kappelans and Terrans are beginning to meddle in the Reft, which, after centuries of isolation, does not in the least expect the storm bearing down on it. Perhaps because this is such an early work in Rasmussen’s career, it illustrates one of the pitfalls of series fiction. This is a new setting and setup is required. In this volume, setup gets in the way of an actual story. In the intervals of frantic running around and moments of Doomed Romance, we are treated to many characters explaining things to each other. With great frequency and at length. Which is not to say the book doesn’t offer some interesting angles. The Reft is governed by a class of bigoted exploiters, who single out a visually distinctive ethnic group as the designated victims of police brutality. Oddly enough for SF, oligarchy and oppression are shown as a bad thing , rather than just the way things are, or as necessary and good. Rasmussen may sympathize with the Ridani, but she is also realistic. It looks as if the Ridani uprising is not going to end well. There are those outside forces and … the Ridani may have a messianic leader, but Central has guns. Rasmussen did manage to surprise me at one point. Lily completely fails to save an ally from brutal cops. I was sure she’d prove her worth as the right sort of rich protagonist by saving one of the lower orders, thus winning that person’s loyalty. Nope, Lily didn’t have the knowledge and resources she needed to save her friend. Maybe she will have acquired them in the next volume of the series. 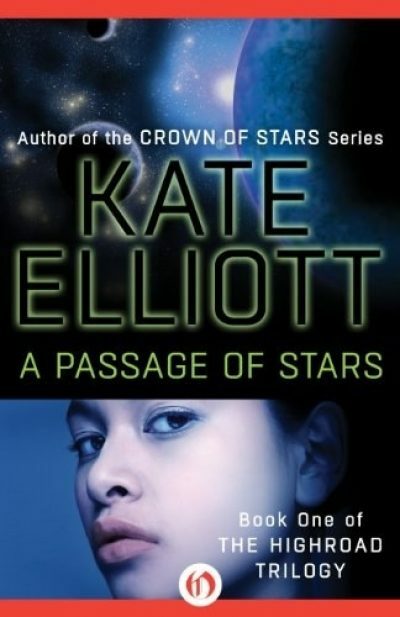 A Passage of Stars is now available from Open Road Media.